Momentum medical aid options don’t only focus on health; it is also possible to choose policies that essentially give you cash back payouts and added value. 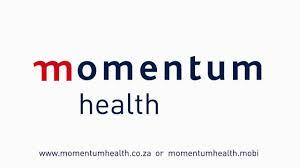 Momentum medical scheme strives to help its members improve both health and financial wellness. The company boasts that members can earn as much as R5 400 every year in Momentum HealthReturns. They even score added in-hospital cover and some free doctor consultations. 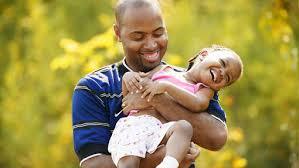 It all depends on the Momentum medical aid options you think will suit your personal needs. Momentum has agreements with a number of healthcare providers including hospitals, doctors and pharmacies that enable the company to reduce costs for those who are willing to opt for so-called “network” care. There are also medical aid plans from Momentum that enable members to choose who they use. All these medical aid plans are different, but all have been designed to meet the needs of Momentum Health clients. Having identified affordability as one of the key needs of consumers, the company has come up with options that enable its members to save more than 35 percent on the monthly fees needed to pay for a good medical aid plan. To be able to make this saving, members will need to choose Momentum medical aid options that simply reduce choice in terms of hospital and medical service provider. Ingwe is Momentum’s entry-level cover that offers as much as R1 060 000 hospital-cover per year for network private hospitals, chronic care and various daily benefits, as well as prescribed medicine. Access is one of the Momentum medical aid options that does not have an annual limit for hospital cover,as long as they are in the network. There is cover for chronic treatments, doctors and medication. Custom is one of the plans in the Momentum medical aid options that allow members to choose any private hospital. However using network hospitals does cut costs. The same applies to doctors and medicines. Incentive is the least expensive of the Momentum medical aid options that sees a portion of the monthly payment going into a savings account (in this case it’s 10 percent). Monthly contributions can be reduced if hospital, doctor and pharmacy networks are opted for. You can decide to make the decision to use any private hospital or service provider for a larger monthly fee. Extender is very similar to the last of the Momentum medical aid options(above). While there are some differences, the most obvious is that 25 percent of the monthly contribution goes into your dedicated Momentum medical aid savings account. If you want to increase the basic cover offered by this plan, it is possible with the HealthSaver option that ties in with several Momentum medical aid options. Summit is, as the name suggests, the best of all the Momentum medical aid options. While it is also the most expensive, there isn’t any limit for hospitalisation and you won’t have to stick to a network hospital. The same applies to day-to-day and chronic care. Both HealthSaver and HealthReturns may be used to increase benefits for this option. ← Do you suffer from SEID?